Castlevania Lords of Shadow 2 producer Dave Cox has stated that we shouldn’t rule out the possibility of a Wii U version of the game. Cox reiterated that the team are currently far too busy developing the Xbox 360, PlayStation 3, and PC versions, of Castlevania Lords of Shadow 2 and don’t have the resources at the moment to produce a Wii U version of the game. 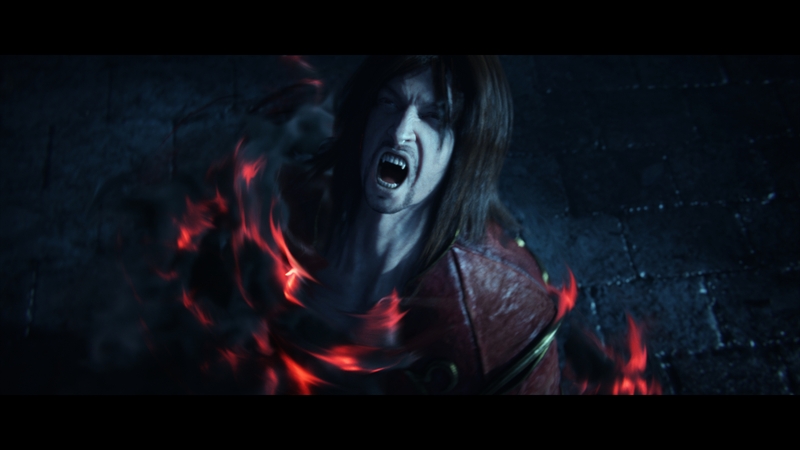 Would you purchase Castlevania Lords of Shadow 2 if it came to the Wii U? If coming to wii u, hell yeah i buy it. Also i will get for ps3 in case it wont come to wii u.
Hmmm…. it seems Wii U too info is starting to trickling in. I hope they port the PC version. The Wii U might lose out on games like this. But people need to start focusing on what the Wii U is getting. I think this is a pretty good list of exclusive games to the Wii U.
Thats ur on post, and besides there’s proof that wiiu is next gen proof against the other two. Plus you said “other high end consoles” meaning WiiU and 720. What a waste of time clicking this bogus, made up article. I just want to hear anything about the game, all we’ve seen is a trailer so far. Unless you’re referring to the first one. Some people hated it, or thought it was a “God of War clone”, but i liked it, alot of people argued about it not having Dracula too, but, well, i does, kinda. Publishers outsource games to 3rd party devs, and get hasty lazy ports, and wonder, why they don’t sell that well? But I guess that would always be better than nothing at all, and some programmers could honestly make a living out of porting, if they got a reasonable cut out of sales. Probably not and that is only because I am not a fan of the series. We’ve already heard these “enws”. If they made it, I would support it. Would love to use the gamepad and Miiverse with it. BOW BEFORE ME GOD OF WAR !!!!!!!!!!!!!!!!!!!!!!!!!!!! Then make like Ubisoft and delay the game to have a simultaneous release……….see how that feels trolls? That is why we were so upset with the delay. If I get it, it’ll be on the 3DS. Didn’t they JUST say there’d be no Wii U version? ijqbcnzojoufoepofxt, Non prescription viagra, NQMfWpG, [url=http://www.putnamcollection.org/]Fedex generic viagra[/url], ldqYcRR, http://www.putnamcollection.org/ Generic viagra sale, ZOnELPG.